In a multicenter, double-blind, sham-controlled pilot study PRESTO conducted to evaluate the feasibility, safety, and tolerability of noninvasive vagus nerve stimulation (nVNS) for the prevention of chronic migraine (CM) attacks, it has been found that Therapy with nVNS was well-tolerated with no safety issues. 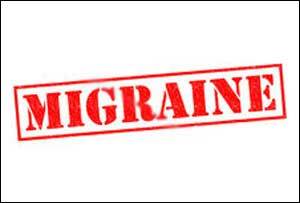 Persistent prophylactic use may reduce the number of headache days in Chronic Migraine. As a result, FDA has approved Vagus Nerve Stimulation device, Gammacore for prevention of Chronic Migraine. Gammacore, the portable device when placed over the vagus nerve in the neck, releases a mild electrical stimulation to the nerve’s afferent fibers and relieves cluster headaches and Migraine. A migraine is a disabling neurologic headache disorder with symptoms including nausea and sensitivity to light/sound.Neuromodulation using implanted vagus nerve stimulation (VNS) devices has demonstrated efficacy for the treatment of epilepsy and depression and potential efficacy for migraine prophylaxis.The treatment is 90 seconds and the patient controls the stimulation strength. There is a limited number of treatments with each device. Migraine is a debilitating disease affecting 39 million Americans, the majority of whom do not seek medical care for their pain.With the FDA’s decision to release gammaCore for migraine, patients now have access to an effective and safe therapy which can be self-administered to acutely treat the pain associated with migraine,” said Stephen D. Silberstein, M.D., Professor of Neurology and Director of the Headache Center, Thomas Jefferson University. The FDA clearance of gammaCore for the acute treatment of pain associated with migraine was principally supported by the results of the multicenter, randomized, double-blind, sham-controlled trial, PRESTO (PRospectivE Study of nVNS for the Acute Treatment Of Migraine). Results from this trial, which were recently profiled at the Congress of the International Headache Society (IHC) in Vancouver in September 2017, demonstrated that treatment with gammaCore for the acute treatment of pain associated with migraine was superior to sham, and also enabled patients to reach pain freedom more frequently by 30, 60, and 120 minutes compared with sham treatment. The results further showed that a significantly higher proportion of gammaCore-treated patients achieved pain relief within two hours compared with the control treatment. Consistent with all prior studies with gammaCore, the therapy was found to be well tolerated by patients. “With annual healthcare and lost productivity costs associated with migraine measured in the tens of billions of dollars in the U.S., the availability of gammaCore provides patients with a new treatment option to relieve migraine pain, while also offering the potential to alleviate some of the economic strain that arises from their condition as well,” said Francis R. Amato, Chief Executive Officer of electroCore. GammaCore is also available outside of the U.S., including in Canada and the European Economic Area. In the U.S., gammaCore is commercially available for the acute treatment of pain associated with episodic cluster headache in adults. electroCore expects commercial availability of gammaCore for the acute treatment of pain associated with migraine headache in adults in the second quarter of 2018.